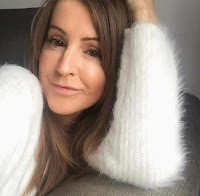 I've worked with SkinChemists before when I tried the Snail Duo moisturiser (which you can read about here) and they recently got in touch to see if I would like to try a couple of items from their Advanced Caviar range. The name of the range alone oozes quality and luxury and it doesn't disappoint. 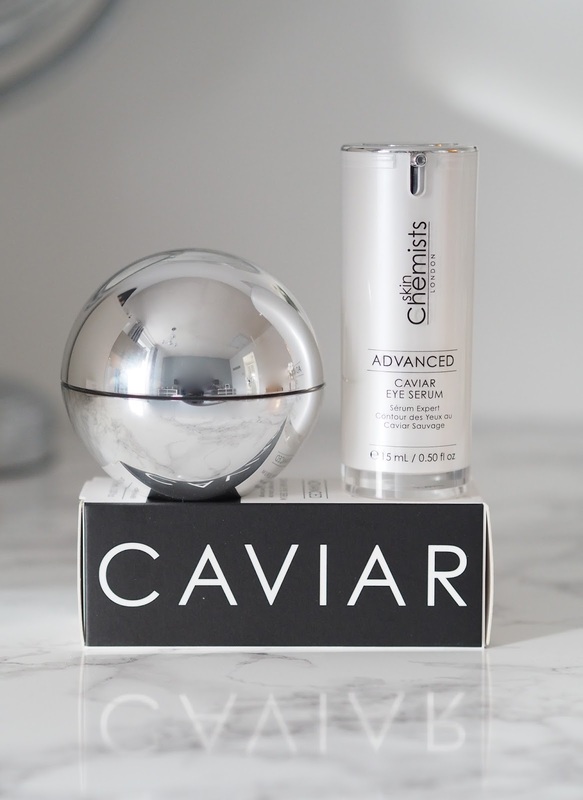 I was really interested in trying the Caviar eye serum as my eyes are my real problem area with quite deep lines and wrinkles. The serum contains sustainably sourced caviar, working to brighten, smooth and rejuvenate the delicate skin around the eye area. The main active ingredients are caviar extract, a highly nutritious marine complex which helps to protect the skin against harmful rays and environmental stresses, and seaweed extract, which is thought to have anti-oxidising properties and deeply hydrates the skin. The product comes in a sealed pump dispenser and is easy to use. On application the first thing that always strikes me is how cooling it is on the skin, which is certainly great for my tired peepers in the morning! You only need one pump for both eyes, in fact I try not to push it right down as I find half a pump is enough ( I want to make it last!) Pat the product on to the skin with your ring finger, taking great care not to drag or pull the skin. The gel smells amazing and absorbs in an instant leaving no tackiness at all. 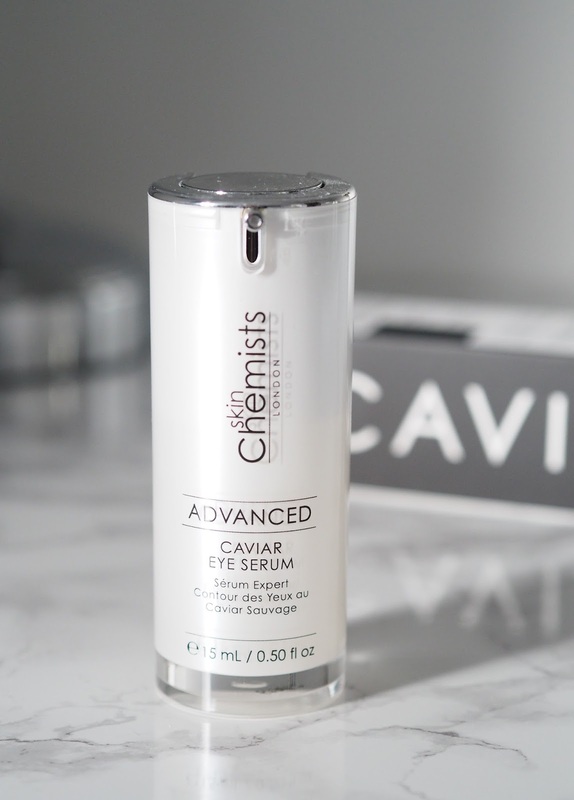 The serum definitely helps to hydrate my eye area without a doubt, although I can't say I've seen a drastic difference with my lines and wrinkles but if it makes my eyes look brighter, smoother and more awakened then I'm all for that! We all know that it's important to treat our skin with the right night time products. Our skin has to battle against so many daily environmental stresses it's vital that at the end of the day we double cleanse to get squeaky clean skin and then apply a product that is going to work overnight as that's when our skin is most receptive to what we put on it. This is where the Caviar night time moisturiser comes in. Using a blend of nourishing and hydrating actives to help replenish, revive and repair. The main active ingredients in the moisturiser are caviar extract, to repair and revive, Protease which aims to break down dead skin cells and balance pH levels and then shea butter, rich in vitamins A & E to hydrate and improve skin health. The texture of this cream is so luxurious but it's not a heavy night cream at all, it's so light and melts into the skin leaving it velvety soft. It leaves my skin nourished and more plump after application and has the same uplifting fragrance as the eye serum. The only down side for me is the container that it's in. I'm not a fan of the spherical pot. Whilst it may look ultra modern and aesthetically pleasing I find it a little fiddly. I've nearly dropped it a couple of times trying to screw the lid back on. I mean it wouldn't stop me from buying it because it's the product that does the talking but a regular square/round pot would be better in my opinion. If you're interested in trying the Advanced Caviar range SkinChemists are giving you a HUGE 70% off!!!! A-mazing. At the checkout use the discount code CAVBLOG1 and I know your skin will thank you for it and hey, with this massive discount they would make the most fabulous Christmas gifts! These do look and sound like luxury products! I'm also still on the hunt for the perfect eye treatment! !